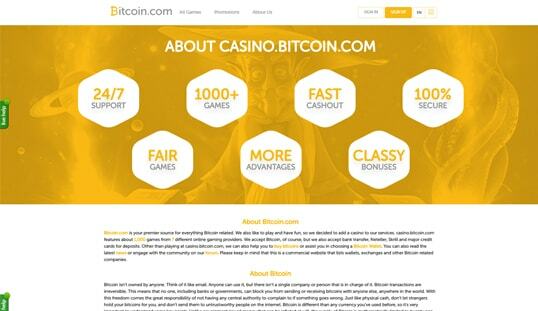 Casino.bitcoin.com is the SoftSwiss-powered casino of Bitcoin.com, and it features great bonuses and a wide range of games for Bitcoin and real-money. Bitcoin.com is best known for being an informative site that helps introduce people to the usage of Bitcoin. The site has decided to expand even further though and has created its own casino section. 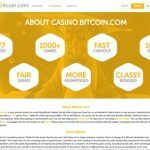 Many people are impressed by what they see on Casino.bitcoin.com. Bitcoin.com’s newly-launched casino section is a team effort with SoftSwiss, one of the world leaders in online gaming. The software developer has bought quite a lot to the table with its experience and the software infrastructure behind it. In addition, SoftSwiss operates the casino with a license from the Curacao Gaming Commission. The partnership with SoftSwiss means that the casino has all of the games that can be found in their large library. This means over a thousand games starting with slots games. These slot machine games are simple and easy to play. They can also be quite addictive. Additional game types are also available like blackjack and video poker. There are even a few table games in the library. Completing the casino experience are the live table games of roulette, baccarat, blackjack, and sede. The site is well-designed, the hallmarks of SoftSwiss’ great work. Players can easily access everything and the bright colors make it a great place to play. All of the elements load quickly and visitors will not be disappointed at what they see. SoftSwiss’ expertise truly excels on this site, and is even complemented by the high-quality games from top game content providers, such as Pocketdice, Endorphina, Ezugi, Betsoft, Quickfire. Making an account with Casino.bitcoin.com is very easy. All you need to give is your email address and password. After that, you just click on the “Sign Up” button. A confirmation email will be sent to your address. Confirm your email and you can start to play soon after. Withdrawals and deposits with Casino.bitcoin.com are actually pretty easy. The main method is Bitcoin, but the site also accepts cash via Cubits, which instantly converts it to Bitcoin. The payment scheme is still being ironed out as of writing, but all deposits should be instant, while withdrawals can take up to 30 minutes. The site may randomly ask for identifying documents for real-money transactions. Casino.Bitcoin.com is very generous with its bonuses. For a welcome bonus, players can get a 150% bonus on their first deposit and a 75% bonus on their second. The limit to the bonus is 1 BTC. Players will also get 50 free spins for both, totaling the welcome bonus package to 2 BTC and 100 free spins. 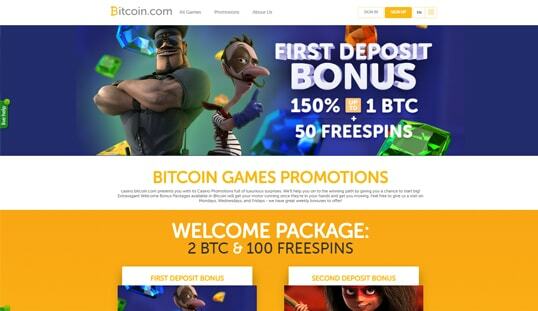 Players will also receive a special high roller bonus if they deposit at least 1 BTC. They will need to contact the customer service team to claim the bonus, though. After the initial deposits, there are still weekly bonuses for players to enjoy. Every Monday, players can get a 10% cashback on their losses of the previous week. Wednesday’s bonus allows players to deposit with a 25% bonus and get up to 0.25 BTC and 25 free spins. Friday bonuses are even bigger. 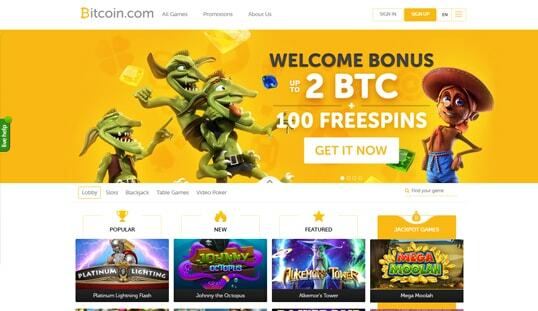 Players can get as much as 100% bonus up to 1 BTC and 30 free spins. Players can get help from their concerns via the live chat. Just click on the tab and the live chat request will be sent. You’ll be able to talk with a customer rep as soon as possible.